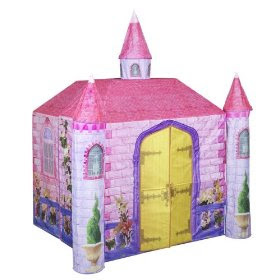 Dream Town Sweet Lily Castle w/ Dress up just $59.99 (reg. $200)!! Amazon has the Playskool Dream Town Sweet Lily Castle with Dress Up for just $59.99 (reg. $200) w/Free Shipping! Wow, that’s 70% off!! If your thinking of grabbing this one, do it quickly, as it may not be around at this price for long! Hot Deal Alert: 50% Off Everything at Baby Star! Vistaprint – Personalized T-Shirts Only $2!